Activate the Rootr with the press of a big red button. The Rootr will help you either face a panic attack head-on, or find comfort as quickly as possible. Find some peace of mind by learning about where anxiety comes from, how our bodies and minds experience panic attacks, and why they might be happening to you. Learn changes you can make in the short term that provide relief, manage heightened anxiety, and instil a calm mind. The ultimate goal is to permanently change our relationship with anxiety, and live panic-attack free. These long term lessons guide us through the remainder of the journey. It is critically important that we treat mental health challenges with the same urgency as we treat physical challenges. Apps like Rootd bring attention to the need to address mental health challenges. I applaud the focus of the app and the strategies it contains. 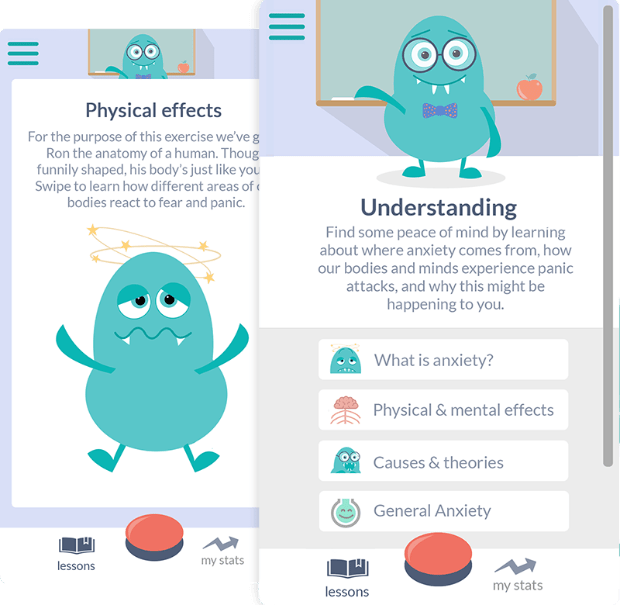 I believe that this excellent app will make a difference in the lives of people living with anxiety. I appreciate the simple, factual, and yet caring approach of Rootd that makes it an inviting, interesting, and easy to use tool. Its easy to read and affirming statements at the end of each section are true and encouraging to readers. I endorse this for individuals looking for support and tools for managing anxiety and panic attacks.